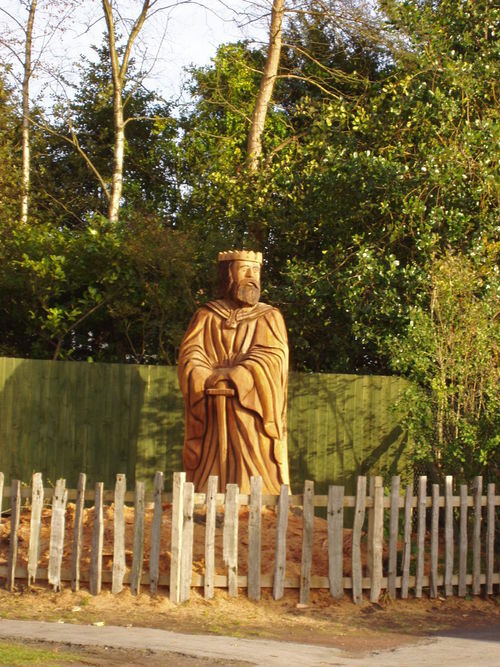 This chainsaw carving, representing 'King Canute', is situated on the A537 from Chelford to Knutsford, Cheshire, just after a 'Welcome to historic Knutsford' sign. Legend has it that King Canute gave his name to Knutsford - Canute's Ford. The chainsaw carving has been created from the stump of a Beech tree and it stands about 12' high from pavement level.